Armed For Apocalypse are streaming their new EP “Palm Reader” in full via Decibel. You can check that out HERE. The effort will be digitally released tomorrow (September 28). A new album from the group is expected to be released in 2019 as well. Armed For Apocalypse have premiered a new song titled “Forced To An End,” via Metal Injection. This track is from the band’s new EP “Palm Reader,” which will be released on September 28. That effort will be followed by a new album in 2019. Crowbar have announced a headlining North American Tour. 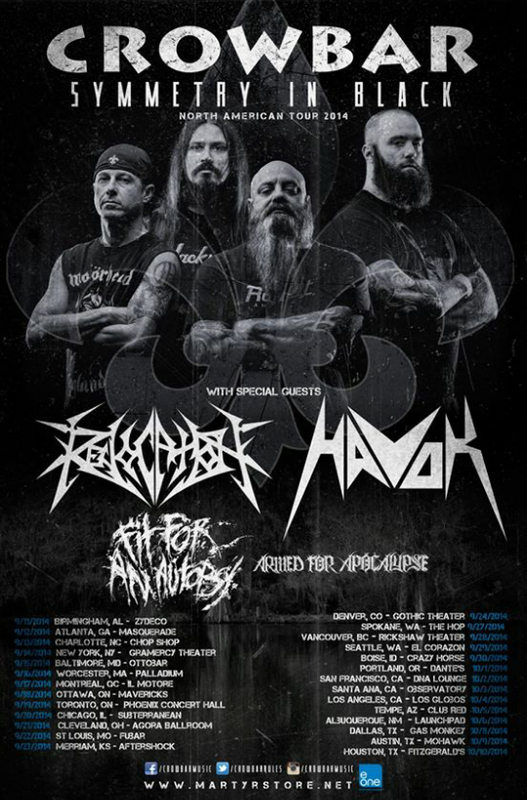 The tour will have 27 dates and will also feature Revocation, Havok, Fit For An Autopsy & Armed For Apocalypse, as support.